It's the unofficial start of fall, and the cooler temps are on their way. However, Summit County residents and visitors like to eat, drink and play no matter what the weather. Put on your jackets and get ready for another crazy week of festivals, road races, events and deals that support good causes. Frisco’s Fall Fest is here! Taste some of Frisco’s flavors as small plates, dance to live music, check out the Meet the Artist show and sale, and take part in face painting from 11 a.m. to 5 p.m. on Saturday, September 8. A beer and margarita garden will feature German beers and Coyote Gold’s beverages. This year’s restaurants will include Bagalis, Bread + Salt, Moose Jaw, Frisco Prime, Greco’s Pastaria, Tavern West, Hacienda Real, The Uptown on Main, Vinny’s and more! The proceeds of this event will benefit the Friends of the Dillon Ranger District. Breckenridge boasts the largest street party in the Rocky Mountains every year with Oktoberfest. This year it happens from Friday, September 7, to Sunday, September 9. Don’t miss the 17th annual Oktoberfest 5K early on Saturday morning before the festivities begin. Colorado Days on Saturday, September 8, and Sunday, September 9, will be held in Copper’s Burning Stones Plaza in Center Village. Experience live music, vendors, delicious food and more, all from our very own Centennial State. Monday, September 10, is the fifth annual Frisco/Copper Creek Mayor’s Cup for Building Hope. Spend a day on the Copper Creek Golf Course while raising awareness about mental health issues in the county. Learn more and register online. 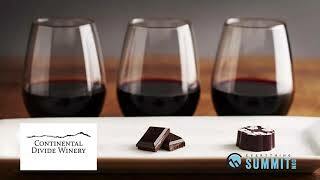 Breckenridge Wine Classic, a top-notch wine-and-dine opportunity, is planned for Thursday, September 13 through Sunday, September 16. Taste more than 100 wines, beers, spirits, food and more. Whether you’re coming for the wine tastings and seminars or you just want to play outside and enjoy a beverage afterward, there’s something for everyone's taste and definition of fun. This is not by any means all that's happening in Summit County this week and in the upcoming months. To see more events, click over to our Daytime and Nightlife listings. At the Cash for Kayla Cut-A-Thon on Monday, September 10, come to BCB Salon and treat yourself while supporting stylist Joni Uhelsky’s daughter as she battles leukemia. The salon will be providing haircuts, styling, nails and massages for donations to go toward Kayla’s medical treatments. While you’re at it, check out the sale at Harmony Wellness Spa. Bath salts are on sale through Sunday, September 9. Any of our 7 salads, mention Everything Summit for 20% off.